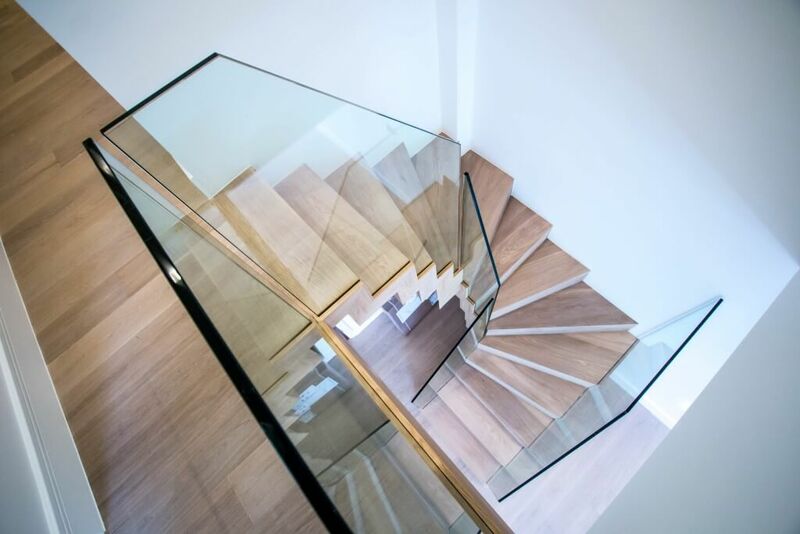 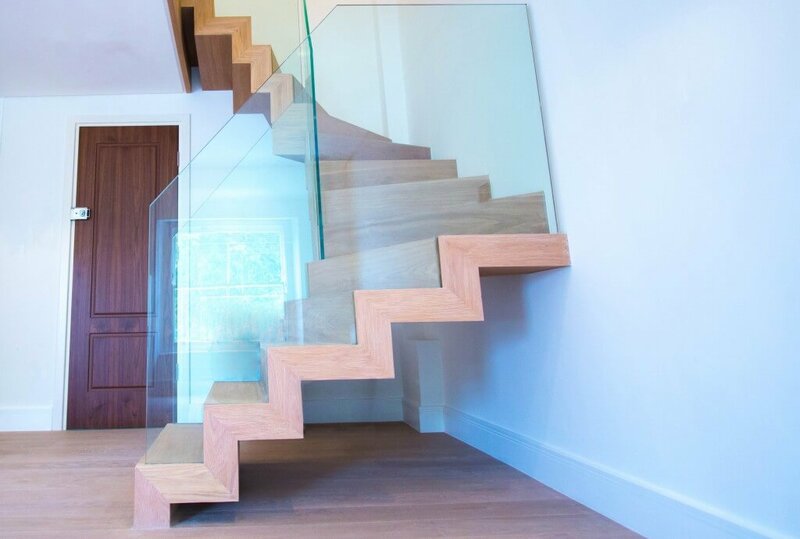 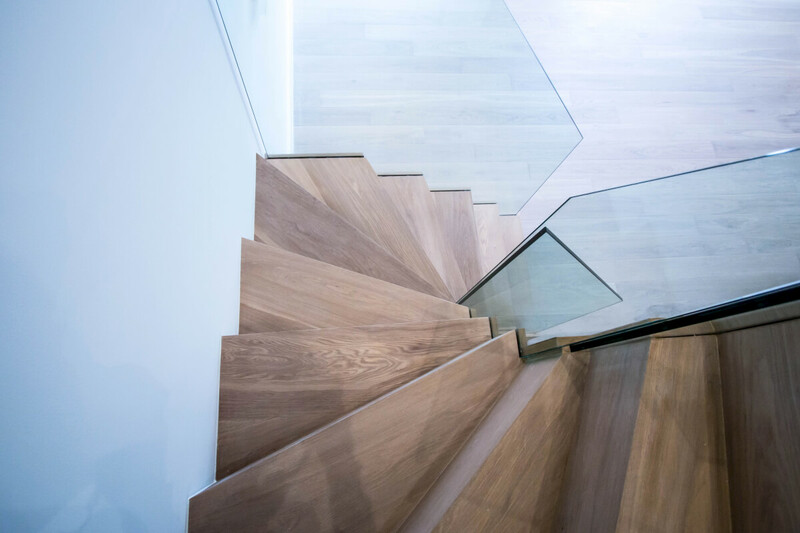 The client requested for the stairs to be modern, and yet still maintain a traditional feel. 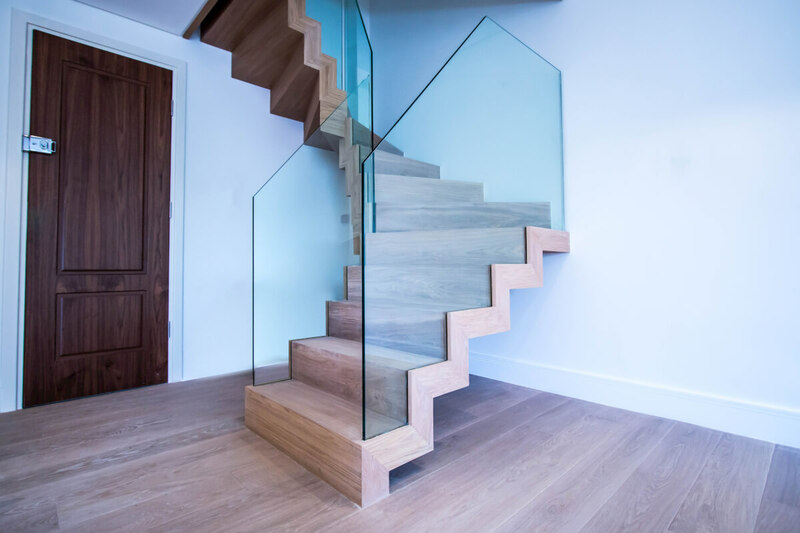 Thus, we decided to implement a ZIG-ZAG type staircase, constructed using primed mid steel and stained oak cladding. 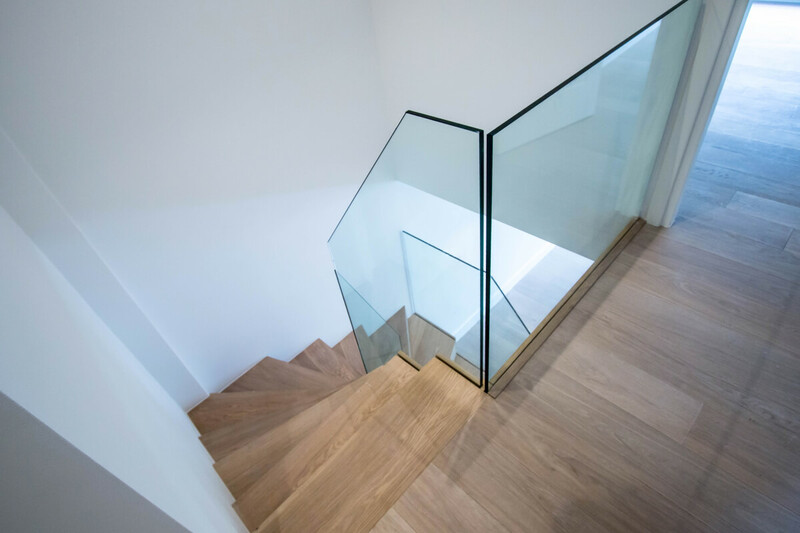 In order to shake things up, we added a frameless glass balustrade, in order to achieve a unique look. We used covers for the glass adapters to keep the look of the stairs simple. 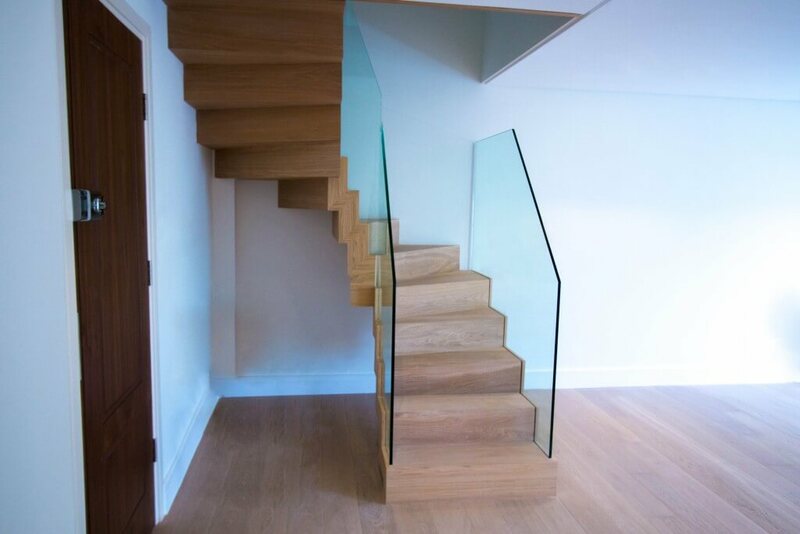 Again, we have finished project on time leaving customer very satisfied with our high quality product.